There is a drop of greatness in every Nigerian. This exclusive list mirrors the great endeavour of Nigerian scientists both living and dead who have left indelible marks in their respective fields both nationally and internationally. This list is not arranged in any particular order and data was sourced from credible and verified bodies both offline and online. The TIME magazine sees him as: The “Unsung Hero” Behind the Internet. 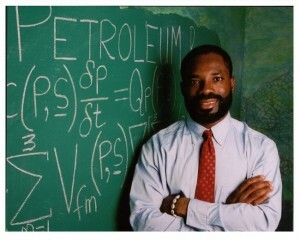 Did you know Philip Emeagwali has a higher IQ than Albert Einstein? Okay, now you know. 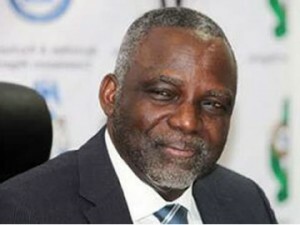 A one time Presidential aspirant and Enugu state born Prof Bartholomew Nnaji, is an erstwhile Minister of Power of the Federal republic who holds a Doctorate in Industrial and Systems Engineering from Virginia Polytechnic Institute and State University in the United States. As a researcher, he focused on: Computer Aided Design, Robotics and Computer Aided Engineering. Using the knowledge he gained from his research pursuits, he created the term Geometric reasoning, the idea that most things we operate has a geometric configuration. He is also credited as one of the innovators of the E-design concept. He is also the founder of the first indigenous owned power generating company in Nigeria and was also a former minister for Science and Technology in the country. Necessity as they say, is the mother of invention. 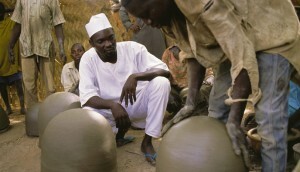 Mohamed Bah Abba from a rural area of northern Nigeria developed the pot-in-pot refrigerator i,e, Pot-in-Pot Preservation Cooling System in the 1990s. Northern Nigeria is an impoverished region where people in rural communities eke out a living from subsistence farming. In rural northern Nigeria, there are no refrigerators. Most people don’t even have electricity. So perishable food must be eaten immediately, or it will go to waste. He received the Rolex Award for Enterprise in 2001 and used his $75,000 award to make the invention available throughout Nigeria. There are many Nigerians who have made the country proud, either by their personal achievements or their contributions to the development of the country. But, permit me to say that, there is this one with very intimidating credentials; one who has made his mark nationally and internationally. As a medical doctor and a soldier, he has effectively combined the two for the good of humanity in solving the problem of blood salvage from body cavities by pioneering and creating a design- the EATSET to replace and improve on the gauze filtration technique as practiced in developing countries. This great son of is from the Isoko extraction of Delta State. 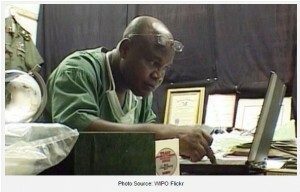 He was declared the Best African Scientist in 1995 before African Heads of States when he won the World Intellectual Property Organisation (WIPO) and Organisation of African Unity (OAU) Gold Medal for scientific work designed to save women who usually die from abnormal pregnancy (ECTOPIC GESTATION). There are always two sides to the coin” and so it is for the most controversial scientist on this list, Gabriel Oyibo, a Professor of Mathematics whose theory – “God Almighty Grand Unified Theorem (GAGUT)” has been heavily criticised by some scholars. Some see him as a madman others see him as a Genius but that notwithstanding this professor boasts of a very rich credential. Professor Gabriel Audu Oyibo obtained his Ph. D. in Aeronautics and Mathematics from Rensselaer Polytechnic Institute (RPI) Troy, New York where he worked for four (4) years on NASA/AFOSR sponsored research and made several contributions in aircraft design, aerodynamics, aero elasticity, mathematics and taught several courses. Dr. Oyibo received Knighthood by His Royal Highness, Attah of the Igala Kingdom.